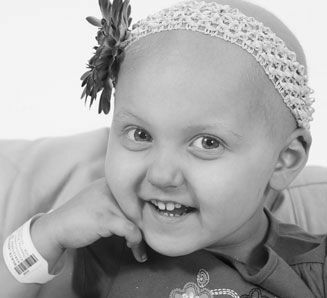 Our daughter, Addison Jo Blair, was diagnosed with Stage IV Neuroblastoma on December 28, 2010. Neuroblastoma is a very deadly pediatric cancer that produces tumors within the body and tumor cells within the bone marrow. At the time of diagnosis Addison was only 2 ½ years old. Images revealed that her tumor stretched from her neck to her abdomen on both sides of her spine. The oncologist told us that she had the largest tumor they had ever seen for neuroblastoma. Once diagnosed Addison went to surgery to have a biopsy of the tumor to determine the state of disease. Addison also had a broviac catheter placed in her chest which allowed access to draw blood, insert medicines, chemo and fluids. This catheter in her chest became her "friend" and she even named both of the catheters. They were her "Bert" and "Ernie." She also had bone marrow aspirations in which large needles were inserted into the back of her pelvis and bone marrow was pulled from them to see if it was infected with cancerous cells. 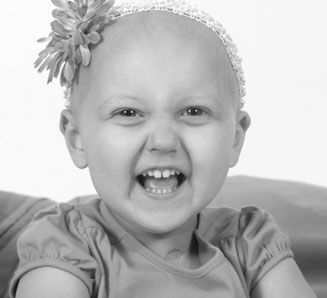 The results showed that Addison's bone marrow was over 90% infected with the neuroblastoma cells. Because her tumor was so large, one of Addison's lungs was on the verge of collapse so her surgeon had to insert a drainage tube into her side to drain fluid from around her lung. This drainage tube was suppose to stay in only for a couple of days but ended up being in her side for three weeks. This tube was very uncomfortable for Addison and also posed a risk for infection being that there was an exposed hole where the tube entered her body. The doctors soon learned that the tumor was secreting fluid which in turn caused the drainage to be more intense than expected. While the drainage tube was in Addison she had to be on strong doses of Morphine to help control the pain associated from the tube. We soon learned that she had a reaction to the morphine which caused her to itch uncontrollably and hallucinate causing her to not be able to sleep. This was something that she had to deal with for several weeks because the morphine was the only thing that really controlled the pain of the drainage tube. Addison in turn got multiple wounds on her back and head from all the scratching she was doing because of the morphine. Her wounds were so bad that the wound nurse had to come put dressings on them and she ended up with scars on her back. Once the doctors realized that the drainage tube was going to be in longer than a couple of days, they had to make the decision to go ahead and start Addison on chemotherapy. They admitted to us that they have never started anyone on chemotherapy with a drainage tube in them like she had. However, because her cancer was so aggressive we had no time to waste. During that first month in the hospital, Addison quit eating and was bedbound due to the drainage tube. She lost a lot of weight and muscle mass which required her to have physical therapy to learn to walk again. However, through it all Addison remained positive and enjoyed each day as much as she could with what she was going through. The months after January can simply be put "miraculous." She handled all the chemotherapy amazingly and did much better than anticipated by anyone. Addison was admitted for one week a month so she could get her chemotherapy. 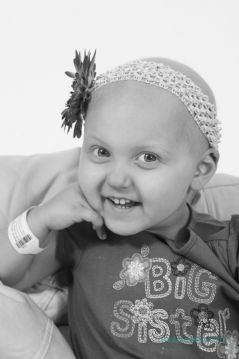 In between these treatments, we made several trips a week with Addison to Kosair's clinic where they would draw blood to check her counts and she received many, many blood and platelet transfusions that her body needed. While admitted at Kosair for those weeks we would spend a lot of time walking laps in the hall with her IV pole being pushed right beside us. She would also spend a lot of time with the art and music therapist. She loved painting and playing musical instruments. Addison met many new friends while in the hospital and enjoyed going to "group" with them each day. Her physical wellness returned as she was running, playing, riding her tricycle, playing with her brother, and laughing again. It was a time we will always cherish. After every 2 rounds of chemotherapy Addison had to repeat all of her scans and test to see how the cancer was responding. Her scans would take an entire week and she would have to be sedated for 4 out of the 5 days in order to get the best possible scans and test results. This made for a very long week for Addison because the sedation medicines would normally make her very sick and lethargic. Like always with Addison, she remained positive and selfless, always worrying more and about her brother Brandt and mom and dad. After the fifth round of chemotherapy, Addison had another round of scans to determine how much of the tumor had shrunk for her upcoming scheduled surgery. This surgery was part of her protocol at diagnosis and we knew it would take place for some time. The last week of April, we met with Addison's surgeon and her oncologist. We were told that her scans showed that Addison's tumor had shrunk about 50% from previous scans and both felt really good about the possibility of being able to remove most if not all of the tumor. We were very excited with this news because at diagnosis she was not even a candidate for surgery because her tumor was so massive. On April 29th, Addison underwent surgery to remove her massive tumor. After about four hours we were called out of the waiting room by the surgeon's assistant and were told that Addison's aorta had collapsed because the tumor had started to grow into it causing it to weaken. They had to call the heart surgeon in to put an aorta graft to fix the collapsed aorta. The aorta was damaged so much by the tumor that the aorta would not hold a stitch. It had no consistency anymore so they had to cut 7cm off her aorta and replace with a graft. They had to clamp off blood flow from her chest down for over 2 hours while the aorta was being repaired. As a result, Addison lost her weight in blood during surgery and was not expected to make it off the operating table. Addison indeed made it off that table, but was in a coma because of all the trauma her body had experienced. They compared what Addison went through on the operating table to having been hit by a truck. Her body was in shock internally and doctors were unsure what shape she was going to be in if she ever came out of her coma. The night of surgery, Addison coded in front of us and had to have chest compressions for over twenty minutes. As a parent this is so heart wrenching because there is nothing that you can do to help. We just stood there as we prayed as hard as we had ever prayed and cheered her on. Miraculously she made it through. Addison remained in a coma and on a ventilator for over two weeks. These were the longest, most dreadful two weeks of our lives. Each new day brought new obstacles and worries. We were told numerous times that Addison would not make it through the day and each day she did the doctors were more amazed with her strength and determination. Addison endured six surgeries in the month that followed her first initial surgery of the tumor. The main cause for concern was her intestines, which lost blood flow along with her kidneys, liver and other major organs during the surgery causing part of the intestines to die and have to be removed. Every few days her surgeon would take her back to the operating room to open up her abdomen to look at her intestines to be sure that no more intestines were dying inside her body. After the sixth surgery it was decided that her intestines looked good and that she would not have to endure any more surgeries at this point. Her surgeon placed a temporary skin graft to physiologically sew her abdomen together due to the swelling in her abdomen as a result of the multiple surgeries she endured and the trauma from the original surgery. This graft was the size of her entire abdomen. This graft had to be cleaned and redressed several times a day in order to keep it moist so healing could begin. Also, during one of her first surgeries Addison had an iliostomy placed on her side in order for her bowels to secrete stool . This was going to be a reversible ostomy once her intestines were fully healed. On the second day after her initial surgery, Addison was hooked up to kidney dialysis because her kidneys were not functioning. Her kidneys took a big hit from the clamping and blood loss during the initial surgery and were struggling to produce urine. She was on dialysis for over 12 hours each day. We also met with the Neurologist which showed us Addison's x-rays and explained to us that Addison had sustained a spinal cord infarction resulting in probable paralysis from the middle of her chest down. Again, this was due to the blood loss during surgery. Upon awaking from her coma after 2 weeks, the paralysis seemed evident because she was unable to move from her waist down. We were also told that Addison sustained a slight brain injury from the lack of oxygen to her brain during the time she coded. This brain injury was not evident while talking with Addison but we were told it could cause her problems down the road. Once she came out of her coma, Addison was pretty much herself mentally. She told us that she loved us, we got to hold her again, she talked about her brother, Brandt, she asked to paint which she did and even watched her favorite movie, "The Wizard of Oz." We were amazed with her strength during this point and enjoyed every minute we got to spend with her. We are so thankful that we were given this time with Addison and will treasure it always. The day Addison passed, Friday, May 27th started with a very eventful morning. Around 1:00 am we were awakened by Addison's nurse who told us that Addison was very uncomfortable and asking for us. She asked for both of us to get into bed with her and hold her which became the last time we ever got to hold our baby alive. We noticed that Addison's abdomen was swelling so the doctors did a procedure where they inserted a tube down her throat in order to release gas that was building up inside of her. The doctors at the time thought that she just had a lot of gas building up inside her abdomen and once it was released she would be ok. However, we soon learned that there was more going on inside Addison's body then anyone really knew. Around 8:30am the oncoming nurse took Addison's blood pressure and noticed that it was extremely low. She then could not find pulses in Addison's feet, which was very alarming. Everything happened so fast but before we knew it Addison had a pulmonary hemorrhage(her lungs began filling up with blood) and she coded. Immediately she was given many forms of life support through the IV and was put back on the ventilator which she had been off of for over a week. Things were going south very rapidly. Her surgeon and other doctors found out through an x-ray that Addison had no blood flow from her abdomen down and was bleeding out through her intestines. Blood work showed that her hemoglobin (oxygenated red blood cells) was dropping rapidly. The only chance Addison had was to endure one last surgery on her abdomen in hopes that there was something that could be fixed. Unfortunately, the surgery confirmed what the doctors dreaded. Her intestines were dead due to loss of blood flow. At this point, her surgeon came over to us and told us that he was sorry but there was nothing more that could be done. They think that she either had a blood clot form which blocked off blood supply to her intestines which caused them to die or the blood loss could have resulted from an internal infection. We watched our baby for the next several hours as she slowly passed away. The doctors, nurses and her wonderful surgeon stayed with us during this time as she passed away to be with God, Jesus, and her other fans in heaven. The staff at Kosair Children's Hospital think of their jobs as more than simply a place to go to work to each day. They truly care and are compassionate for the children and their families that they care for on a daily basis. We know…we experienced it firsthand. Many of the staff members that Addison came in contact with came to her visitation and/or funeral which meant the world to us. Her surgeon, nurses, physical therapist, occupational therapist and child life coordinator all came to show their support. Addison loved them dearly and they are all truly a part of our family now. Without Kosair Children's Hospital we would never have had the best five months with our beautiful daughter, Addison. We truly lived for the five months after diagnosis, more than we had ever lived in our entire lives. We got to enjoy spending time together as a family, every minute, every second. Addison got to enjoy being a big sister to Brandt and he got to enjoy having his big sister around to play with him. During all the treatments Addison remained very brave and strong. She never questioned why she was having to stay at the hospital or why she didn't feel good on the days she was sick from chemotherapy. She took everything so well and was a true inspiration to many people around her. Addison loved Kosair and called it "her hospital." She would get so excited when she would see the Kosair hot air balloon on TV or out somewhere. She called the nurses and doctors her friends and would get excited when she knew we were heading to Kosair for several days for her chemotherapy. We called it "camping out." 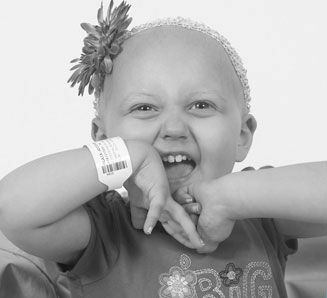 The entire staff at Kosair became our extended family during the five months Addison battled this horrible cancer. They laughed with us on good days, cried with us on bad days and cheered with us when we would get good results. We feel that because Addison loved the hospital so much and was so proud of "her floor" which was the cancer center we want to give back all we can to this wonderful place. We want Addison's name and story to continue to be an inspiration to everyone who is needing hope in their life and serve as a reminder of how one should face life's toughest challenges…HEROICALLY. 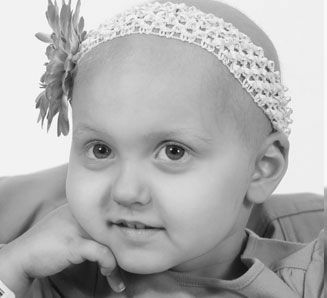 Learn more about Addison on her Caring Bridge page.